Around two million people live in “Ostwestfalen-Lippe” (East Westphalia-Lippe). Around 150,000 companies from a wide range of industries are headquartered here and employ around one million people. This makes the Ostwestfalen-Lippe (OWL) region one of the strongest business locations in Germany. Around the popular “Teutoburger Land” area, there are many attractions to discover in North Rhine-Westphalia (NRW). The variety of leisure facilities in the larger cities is huge: Potts Park and the Municipal Theater in Minden, various sports clubs in Minden, and the successful handball club GWD Minden, as well as the theater in Detmold, the “Hermann Monument”, and the open-air museum in the cultural city at the heart of the Lippe region. Thanks to its excellent transport network, the most beautiful destinations, attractions and sights in OWL can all be reached quickly and easily. The A30, A33, B61 and B68 highways offer easy access through the region and visitors can always switch to small and well-maintained local roads. 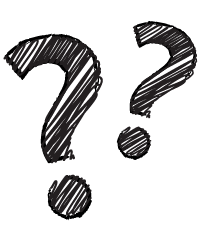 In addition, there are plenty of possibilities to travel longer distances by tram, overground and underground light rail, or bus. The rural regions of OWL boast a particularly strong economy and good infrastructure. The formula for this is simple: cutting-edge research for cutting-edge businesses! With its universities and companies, OWL is home to well-educated professionals working on ever-new intelligent technical systems which ensure the region’s high quality of life. And there’s particularly good news for families: housing in OWL is not only affordable, rents are even below the state average. They are only slightly higher in larger cities such as Bielefeld or Paderborn. From museums, to events and concerts – OWL offers a host of leisure activities for families with children, but also for couples and singles. There are around 170 museums to discover, and exciting things to learn and experience about the history of East-Westphalia-Prussia or the region’s rich Christian heritage. Minden alone offers a diverse cultural program – from theater and cabaret, to poetry slams, exhibitions, readings, and a wide range of concerts. In addition to the classical offerings, there’s also a large and active independent cultural scene here. Providing new inspiration for the OWL region over and over again. 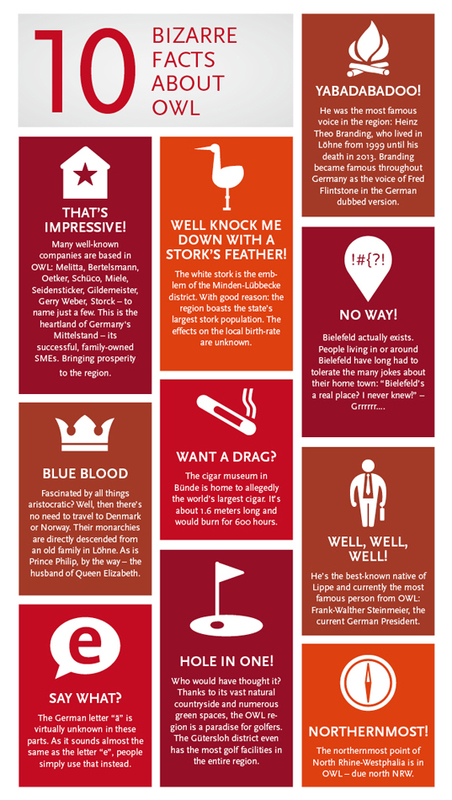 The performances and events of theaters in Detmold, Bielefeld and Paderborn also draw large audiences. The region, first and foremost Minden, is characterized by its tolerant urban society and excellent medical care. In addition, there are numerous attractive jobs with one of the many mid-size and large companies which provide long-term prospects for all their employees. A large number of these companies – many of them family-owned – are involved in partnerships for promoting OWL’s cultural development. Music schools, museums and various private initiatives shape the region’s cultural events. Plenty is also being done for young people: projects such as “CultureScouts” and various sports clubs help children and young people to experience new things in the region and support the structure and long-term sustainability of the OWL region. If there’s one thing in the OWL region that really gets everyone excited, it’s the impressive natural landscapes: recreational parks, dark caves and numerous hiking trails invite visitors to explore the region’s scenic beauty together with the whole family. The best proof that Bielefeld really exists is the nearby zoo in Olderdissen. Large numbers of wild animals make it a popular destination for families – and all that for free. Visitors are regularly fascinated by the overwhelming architecture, detailed interior fittings and impressive acoustics of the cathedral. This large building offers plenty to discover during a relaxed family afternoon. The famous Hermann Monument is in honor of a Germanic warrior who fought bravely against the Romans. However, those visiting the monument not only learn something about our history, but also about their current fitness – it involves a certain degree of hiking and climbing. After all this discovering, you may need to relax a little. We recommend this oasis of tranquility with its numerous offerings: from different pools to whirlpools and various sauna areas – everyone is sure to find pure relaxation here. The Waterway Intersection in Minden is the perfect destination for a bike ride along the river Weser and the canal it crosses. Once there, it’s best to take a boat tour and learn all about the historic lock system and pumping station. Something to astonish young and old! But that’s not all: more than 120 gardens and parks give the area between the Wiehen and Egge mountain ranges its unmistakable face. The historic town centers delight visitors with their charm and impressive half-timbered houses. 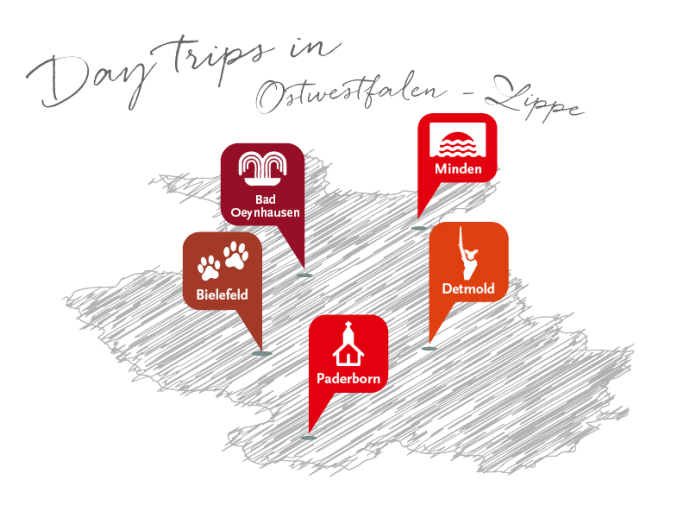 In short: Ostwestfalen-Lippe offers a wide range of exciting day trips and leisure activities for families with children.